Origins of the “Traveller Monk’s Staff” (Hang Je Paang) are not very clear – most sources date it to the times of Wong Feihung and before. 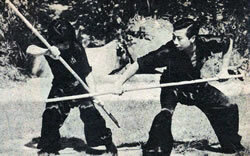 Grandmaster Lam Jou practiced this form with a short introduction from the “Monkey Style” (Hau Kyun) and several techniques in the form actually carry “monkey” names – one of the many alternative names of this form is indeed the “Monkey Staff” (Hau Ji Gwan). This weapon form is a tribute to the legendary hero of the Chinese novel “Journey to the West”, Monkey King Syun Ng Hung (in standardized Chinese Sun Wu Kong), also called Syun Hang Je (Hang Je meaning “traveller monk”), whose favorite weapon was a magical “Wishing Staff” (Yu Yi Paang) that could grow to any size according to the will of its master. 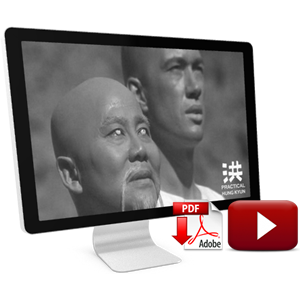 The staff is traditionally supposed to reach the user´s eyebrows – that´s why it´s also called “Eyebrow-Height Staff” (Chai Mei Gwan). 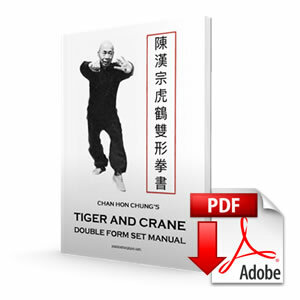 Both ends of the staff have the same diameter – it is thus not conic like the “Long One-Ended Pole” (Daan Tau Gwan), which is represented by the “Six and Half Point Long Pole” (Luk Dim Bun Gwan) and Fifth Son’s Eight Trigrams Long Pole (Ng Long Baat Gwa Gwan) of our Practical Hung Kyun curriculum. 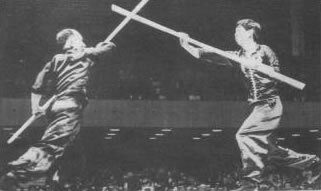 The “Monkey Staff” appears in many gungfu styles, however, it should be noted that the Hung Kyun version lacks acrobatic and dramatic elements of the Northern-Chinese “imitation” systems or Chinese opera and it´s fully focused on the fighting aspect. The main core comprises of horizontal, vertical and diagonal strikes, blocks with the end and the middle of the staff and poking. Both ends of the staff are used (usually in turns), which is why this type of staff is also called the “Double-Ended Staff” (Seung Tau Gwan). 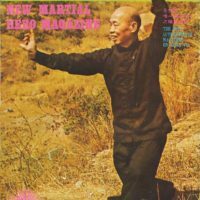 Practicing the techniques of “Traveller’s Monk Staff” develops both stability and mobility of the stances, waist work and ambidexterity, i.e. the ability to use both hands with the same degree of agility. 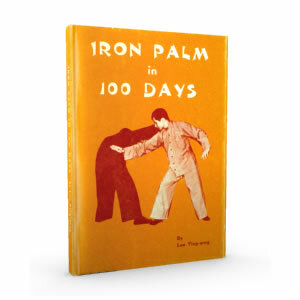 According to Chinese Masters, staff is “the introductory weapon to a hundred weapons” (Baak Bing Ji Sau), ie. all weapons. 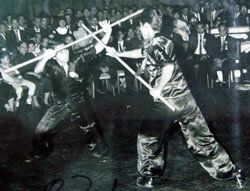 Because of its ability to provide a dynamic and complex way of conditioning, the form is often practiced with heavy metal staffs of various weights – the techniques with the double-ended staff develop strength, especially for “uppercuts”, “covering” punches and elbow strikes. The form itself is preceded by stationary and mobile drills and their combination.